Exploring and experimenting with colours is an essential part of the Early Years Curriculum – Expressive Arts and Design. Bright colours are particularly attractive to our youngest children but as their experiences grow, they will begin to notice and delight in other shades. Their knowledge of the environment is enriched by the observation and discussion of the colours of the natural world, and their first expressions of creativity are usually with colour, from scribbling with wax crayons, to mixing colours, observing changes and designing patterns. 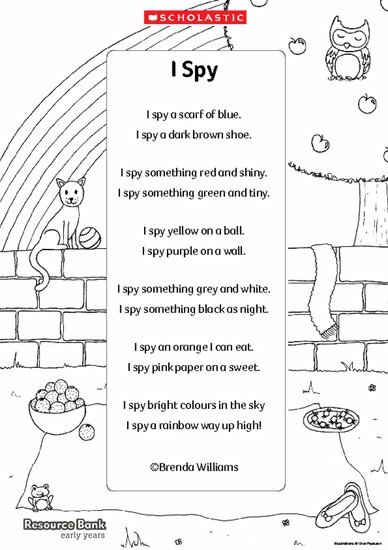 Use the colouring sheet that surrounds this poem to help your children practise recognising and naming colours, whilst also working on their literacy skills.